Below is a list of what South African car buyers favoured in June 2015. Consensus among motoring journalists, car dealers and other industry folk is that buyers are simply waiting for the new Toyota Hilux to be released, and they will rushing to the showrooms for test drives and purchases. Because of this reason, Hilux bakkie sales have been steadily decreasing in 2015, which has left the Ford Ranger to be crowned as the number 1 selling automobile in South Africa for a third month running till June last month. The top 3 best car buys remain unchanged from May, and there is no sign that that will change any time soon. However, it was very interesting to see the Renault Sandero in the top 10. The numbers however, don't show a very clear picture because towards the end of last year, Mercedes-Benz decided it would no longer make public the sale of individual vehicles. At last count, and for the whole of 2014 for that matter, the Mercedes-Benz C Class outperformed the BMW 3 Series, which made the former the favourite among South Africa's premium car buyers. Similarly, Kia and Hyundai don't tell us how many of their individual models are sold, and instead we received an aggregate number of 4053 units for June, which made the South Korean car makers the 5th biggest in South Africa. There really isn't any excitement in the top 10 because of the predictability of the contenders. The list is far more interesting below, where all eyes are on cars like the new Volkswagen Up and Datsun Go. Both have done exceptionally well by many standards. Don't expect a home run with these cars any time soon. 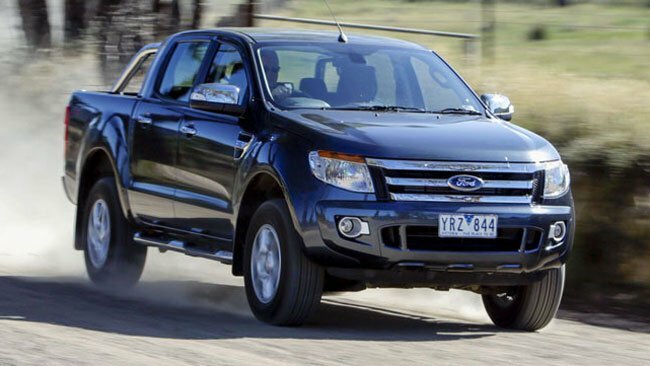 The highlight of the month was the exception reception people have given the Ford Ranger. Ford is arguably the one company that has a line of cars we cannot fault at all. And because of this, for the first time, Ford Motor Company has overtaken Volkswagen South Africa as the country's number 2 car maker. In June 2015, Ford sold 7115 new cars for domestic consumption, and VW sold 6934. In total, 52785 new cars where bought by South Africans in June. On its own that number is quite significant, but comparing it against the same period last year, i.e. June 2014, the sales where down by a sizeable 6.6%. Most of that decline can be attributed to passenger cars and not on bakkies.